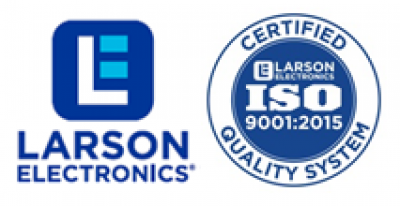 KEMP, Texas, February 12, 2019	(Newswire.com) - Larson Electronics LLC, leader in industrial lighting, has released a Hazardous Area LED Light Fixture that is U.S./Canada approved Class 1 Division 2 Groups A, B, C and D rated locations, has a T4A temperature rating. 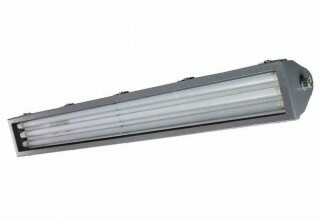 This 3-lamp pivoting light unit is ideal for hazardous locations where flammable chemical/petrochemical vapors may be encountered such as oil drilling rigs, refineries, chemical manufacturing facilities, gas processing plants, and more, and is an ideal replacement for similar fluorescent fixtures. 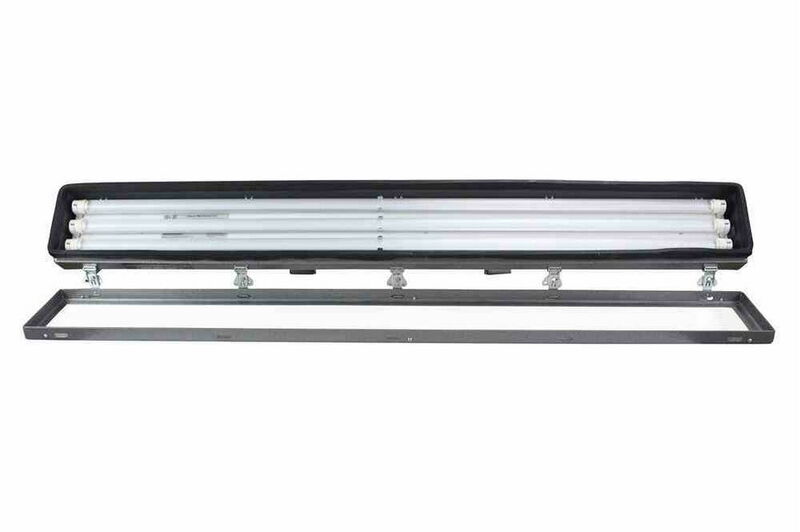 The HAL-48-3L-LED-BMSW-BL is a 4-foot-long 3-lamp LED fixture, rate for Class 1 Division 2 Groups A, B, C and D hazardous areas. 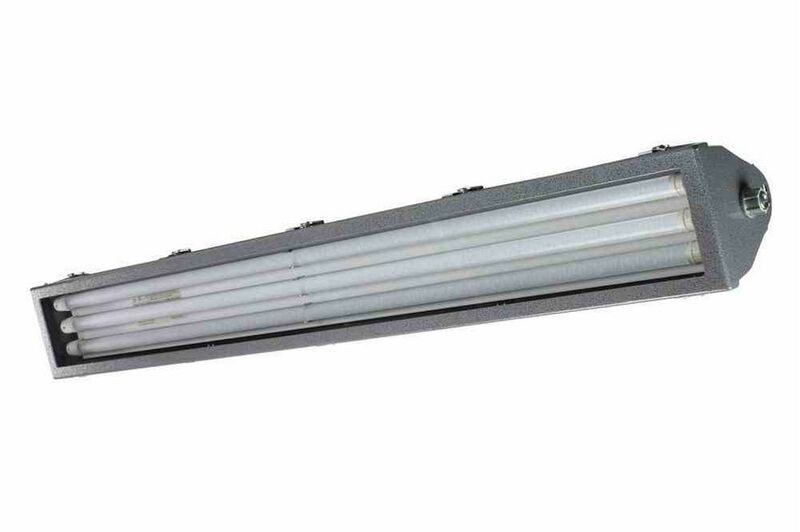 This 250-watt unit is equipped with three, 28-watt LED lamps that produce 3,500 lumens a piece drawing a total of 84 watts. 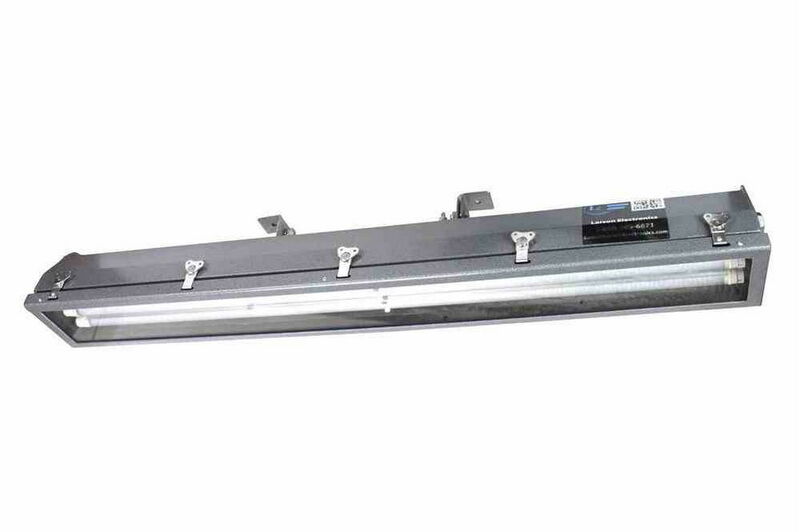 The HAL-48-3L-LED-BMSW-BL is T4A temperature rated, and is universal voltage, not multi-tap, and operates on any voltage from 120V to 277V AC 50/60hz without any modifications. This includes commonly found voltages such as 120V 60Hz, 220V 50Hz, 240V 60Hz, and 277V 60Hz. We also make a 12/24V AC/DC version for low voltage applications for AC or DC power. 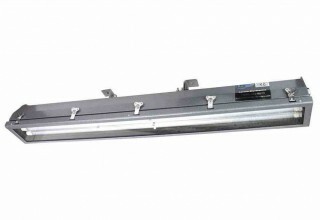 This hazardous area LED features standard swivel mounting brackets, allowing operators to adjust the angle of the light to achieve their desired illumination positioning. 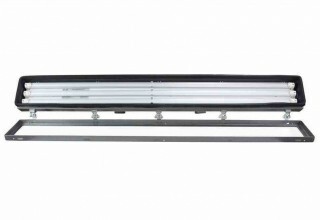 The HAL-48-3L-LED-BMSW is constructed of copper free aluminum alloy and powder coated for additional protection against the elements. The fixtures lens is framed in heavy gauge aluminum and coated with a high gloss reflective for corrosion resistance. 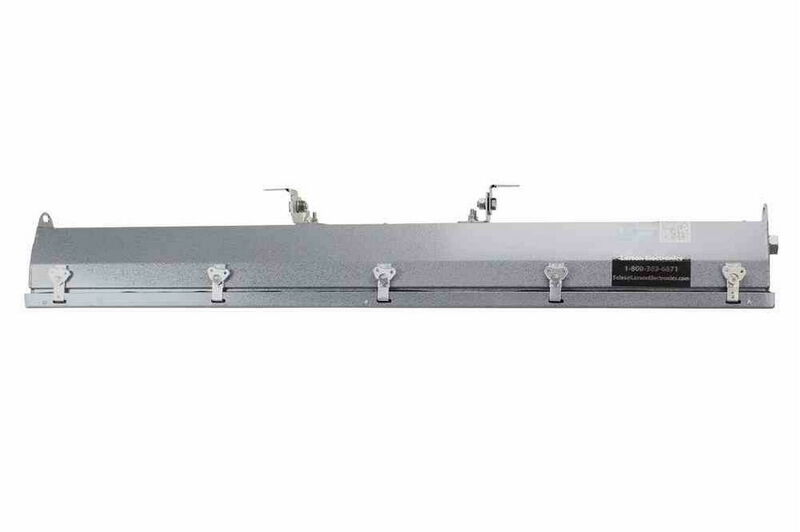 This weatherproof class rated light fixture provides operators in hazardous locations with a highly efficient, reliable and affordable lighting solution for marine locations.